When Kylie “slayed” the dragon in front of the TEDx crowd, I got all misty-eyed. Kylie was 13-years-old, an introvert, and terrified of delivering her speech. She wasn’t just slaying a dragon in her dream, she was slaying her fear-of-public-speaking monster in front of a crowd of over 100! I didn’t really know Kylie at the beginning of our journey together, but over the course of several months I became a huge fan of this hard-working, tender-hearted girl. She was one of nine brave and not-so-brave students who decided they had a “big idea” they wanted to share on stage at the TEDxYouth conference I co-chair. The theme was DREAM. The speeches the kids developed to fit the theme were incredible. There was a speech on how to turn a dream into an invention, one on the American dream, one on MLK’s ‘I Have a Dream’ speech, and many other fantastic topics. Kylie had chosen the ‘science of dreaming’ and, more specifically, how to have a lucid dream - when the dreamer knows they're dreaming and can affect control over the dream. Our relationship began when she quietly approached me with this great idea. I loved it! There was just one problem. She didn’t want to do it. She was terrified. 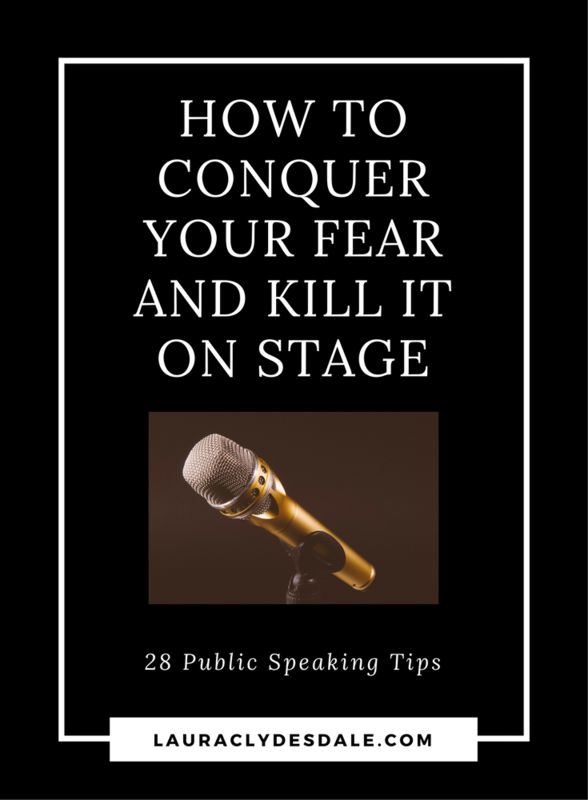 "Glossophobia," is the medical term for stage fright. It makes 28 percent of the adults in the U.S. either afraid or very afraid, according to The Chapman University Survey of American Fears. 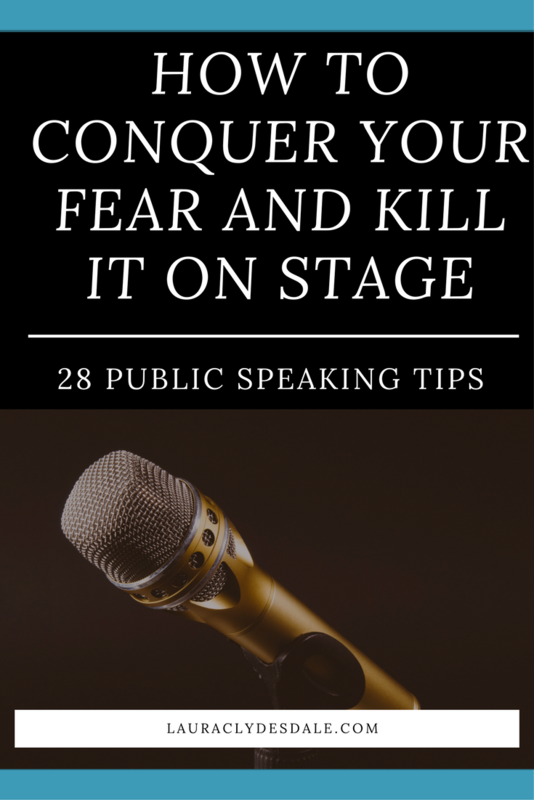 There are more people afraid of public speaking than of their own death! Many of these people suffer through it when forced but many others take avoiding public speaking to a disruptive level. I have known clients and friends who have passed up promotions or not taken a juicy assignment just because both required speaking. When the fear of public speaking manifests itself at a young age, it can even influence career choice. Public speaking is a skill not a talent. It needs to be practiced. Avoiding public speaking only exacerbates the problem by reinforcing the fear. Besides, if you never present, you’ll never realize that you won’t actually die. I had a hunch this could be a huge deal for Kylie’s growth if she could make it onto that stage and get through her speech. So I told her about being micro-brave. “Being brave is a skill, one that is best learned gradually over time. Like any new skill, whether it be basketball or violin, practice, persistence and patience are key. Brave is built, not born, and micro-bravery lets girls flex their brave muscle slowly and in small increments. Over time, the muscle gets stronger. Eventually, girls develop the confidence to tackle bigger challenges,” says Simone Marean, Executive Director and Co-Founder of Girls Leadership. Well, to be fair, this was a little larger than ‘micro’ since it involved public speaking. However, it was still much easier than a normal speech because the kids in the crowd hoot and holler for the speakers. It’s such a joy to experience every year. It has the vibe of an end-of-the-school-year talent show. Kylie attended last year and had seen the magic herself. You couldn’t ask for a more supportive crowd to build your speaking muscles. Kylie was able to confront her fear once she understood that breaking the task down into a lot of small steps, along with practicing and preparing, would make it less scary. I sat down with her and after laying out the following plan, she agreed to do the speech. This is the plan that Kylie followed. If they won’t be able to see the visuals, don’t use them. Memorize the speech first BEFORE you make your notes. Notes are for the areas you keep stumbling. Transitions are known tricky spots. If you require notes, only use key phrases, enabling you to be natural and maintain eye contact. No reading from notes or slides. Don’t hesitate to take a glass of water with you. Be yourself and develop your own best style, but use your role models for inspiration. Remember, your audience comes to you with a lot on their minds. It’s your job to engage them through your ideas, rapport, and involvement. Open with enthusiasm and something of special interest. Tie the opening to your main theme. Maintain eye contact…4 to 5 seconds per person. If this makes you uncomfortable, look at the top of each person’s head. They’ll never notice. Inject vocal variety: change inflection, pitch, volume, emphasis, speed. Stay within the allotted time. Articulate distinctly and don’t let your voice trail off, or rise, at the end of words or sentences. Prepare a solid, positive closing. The most important step in this micro-courageous act is to practice. In fact, for most micro-brave events, practice is key. Want to introduce yourself to someone? Rehearse. Want to conquer fear of raising your hand in class? Keep raising your hand in class. Need to have that difficult conversation with someone? Role-play with someone beforehand. Public speaking is no different. Practice the ending on its own. Practice the middle on its own. This will reduce second-half fumbles. If you only practice start-to-finish, your beginning will be stronger than then the ending (because of re-starts). Both need to be strong. Practice standing up, in front of someone, and in the outfit you will be wearing. No one is available? Practice in front of a mirror. Record yourself on video. You can learn a lot about your sound, your style and your movements. Advanced tip: Once you feel you’ve nailed the material, go back and plan where you will interject vocal variety into your speech. And how about those sweaty palms and butterflies? Don’t rush! It interferes with your breathing. Prior to the speech, right before you are introduced, squeeze the edges of your chair hard for a count of three and then release and let your shoulders drop. Do this several times. Breathe deeply before and during the speech. This keeps your voice from wavering and also helps you avoid dangerous ‘uptalk’ which undermines your credibility. Kylie followed Every. Single. Step. I’d be lying if I didn’t see panic in her eyes while I was introducing her. However, she gave me a little smile as I handed her the microphone. Her hands were shaking, but I knew she would make it. She was so prepared. She totally killed the dragon in her dream AND that speech. When I took the microphone back, her hand was steady, and she was beaming. Although Kylie did all the hard work, having a step-by-step process to follow seemed to calmed her. I did not understand how powerful a tool this would be for her in overcoming her fear. I presented it like tips but she used it like a formula to success. Like a secret roadmap someone had kept from her. Slaying the fear-of-public-speaking dragon wasn’t just a big deal for Kylie. It was a game changer.